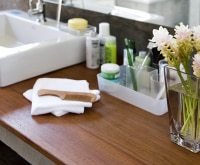 Get a jumpstart on your New Year’s resolutions and spring cleaning by organizing your bathroom. 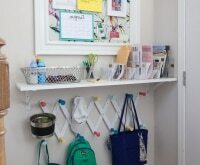 While cleaning is fairly straightforward, oftentimes this small space is in need of some real organization — and fast! If you’re like me, you do the bulk of your deep cleaning and organizing on the weekend. But let’s face it, no one wants to spend all day doing that, so I’ve put together some bathroom organizing tips and ideas to make your life easier. Keep reading to learn how to organize your bathroom with projects that take 30 minutes to a weekend to complete. We’re covering whole-home organization this month, so be sure to keep an eye out for more stories — and be sure to get the scoop on how to organize your kitchen and tackle organizing those Christmas decorations! Need a little help containing all your bathroom gadgets and accessories? Look for baskets, bins, cubbies, and more — and save with Bed Bath & Beyond promo codes, a Crate & Barrel coupon, or a Container Store coupon! Purchase canvas baskets and create labels using yarn, paint, or even printed labels. 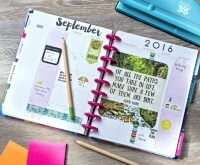 You can organize makeup, hair care, skin care, medications, and other random things easily with this approach. You could also organize your personal care items on wheels. Load a wheeled cart like IKEA’s Raskog with goodies, making your bathroom organization a breeze because you can literally roll it around with ease. If your shower doesn’t have built-in shelves, purchase a hanging organizer for a few bucks to keep your shampoo, conditioner, soap, and other shower essentials off the floor. Keep what you’re using in the organizer and store items you’re not using in the canvas baskets you tucked onto your shelves. Find canvas baskets and a rolling cart organizer at IKEA, and don’t forget to check Amazon for dozens of shower caddy options! Turn the wall above your toilet into a cloud — literally! This toilet paper storage rack turns your spare toilet paper into a friendly display. If you don’t have the spare change to shell out for this, any add-on shelf will do. You can find affordable options at Walmart or Target. Add on to your savings with coupon codes for Uncommon Goods (where you can find this cute cloud shelf! ), Walmart, and Target. You can keep the bulk of your bathroom items, like towels, cotton balls, Q-tips, soaps, and cotton pads stored nice and neat using cubbies like these. Follow this guide to make your own, then purchase mason jars from the canning section of your local grocery store or on Amazon to fill with small items like Q-tips and cotton balls. Stack soaps or towels neatly in their own little cubicle. This will help remove counter clutter in a snap! Purchase your plywood and be sure to save with coupon codes for Home Depot, Lowe’s, and Menards. The best way to organize those small accessories stored in your drawers is with a plastic or mesh organizer. 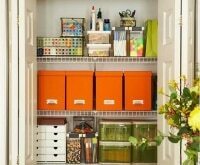 The Container Store and Amazon sell a wide variety of drawer organizers for accessory items both large and small. As an added bonus, these easy to remove and clean at any time. 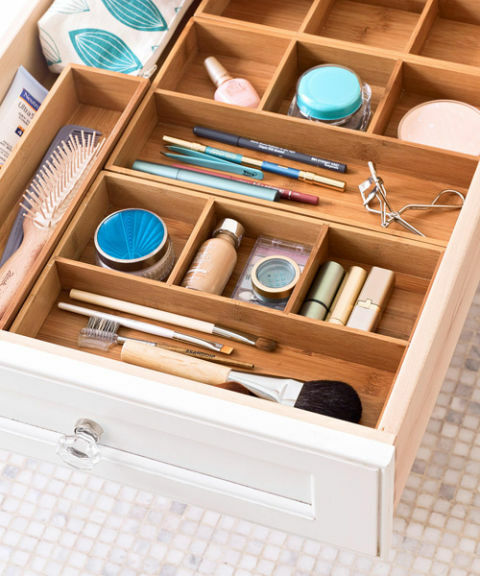 Found the perfect drawer organizers? Save more with coupon codes for Amazon and The Container Store! If you’re feeling a bit crafty and still have small accessories that need a place to call home, why not make this adorable strip of mason jars? 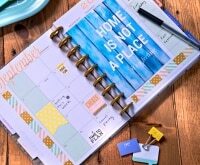 Creating your own organizer gives you the freedom to customize the paint to your bathroom color scheme, not to mention make it as large or as small as you need — or fit! It doesn’t take long for our medicine cabinets to fill up, and let’s face it, those tiny shelves aren’t that great for holding smaller items that might move around. 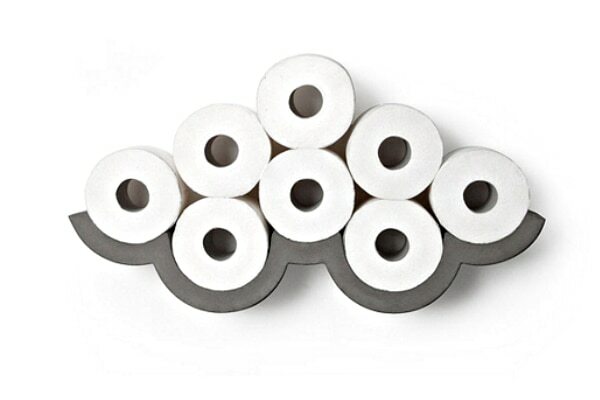 These stick-on organizing pods are an easy-to-use, cheap solution that leaves no adhesive residue, making it perfect for tiny rental bathrooms, too. Win-win! Speaking of medicine cabinets, another easy way to add more storage capabilities to yours is to add magnetic strips. These are easily found at craft stores, and you can even add a decorative flourish with fabric and Mod Podge or washi tape. Let the magnets hold your bobby pins, tweezers, nail clippers, and eyelash curlers in place. Find magnet strips, washi tape, fabric, and Mod Podge at craft stores like Michael’s and Hobby Lobby, then transform your medicine cabinet into a proper storage spot. 8. No counter space? No problem! One of the problems most bathrooms face is a lack of counter space. 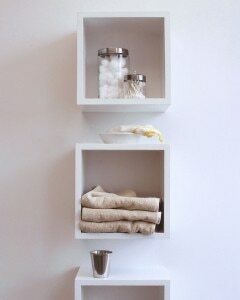 To keep your toiletries corralled and clean, why not try this simple solution from IKEA? The caddies feature removable bottoms, meaning sudsy toiletries and leaks won’t cause a hard-to-clean mess. 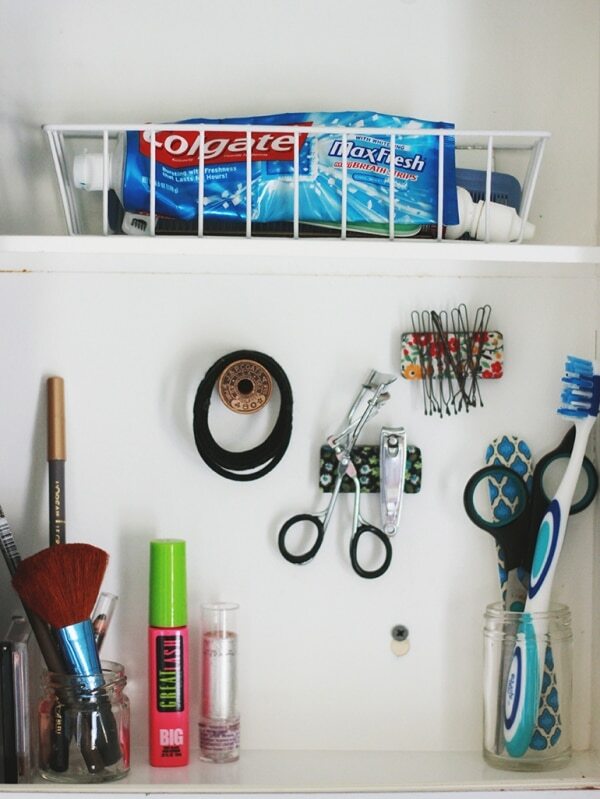 You can use a similar setup to the one above to organize accessories above your toilet. Just grab towel bars, baskets, and ribbon to attach the baskets to the bars, then get ready for a fun and fulfilling weekend project! Your spice racks don’t have to stay in the kitchen. 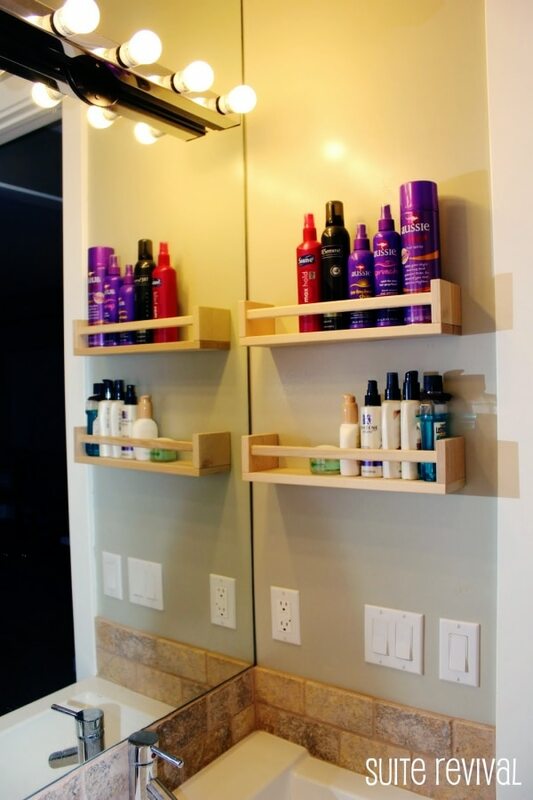 Instead, attach them to your wall to create the perfect place for bottles of mousse, hairspray, lotion, and more. 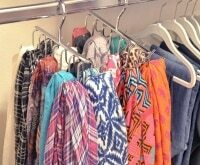 If yours come with rails like those in the picture, you could even hang baskets from these for bonus storage space. Just make sure things don’t get too heavy! 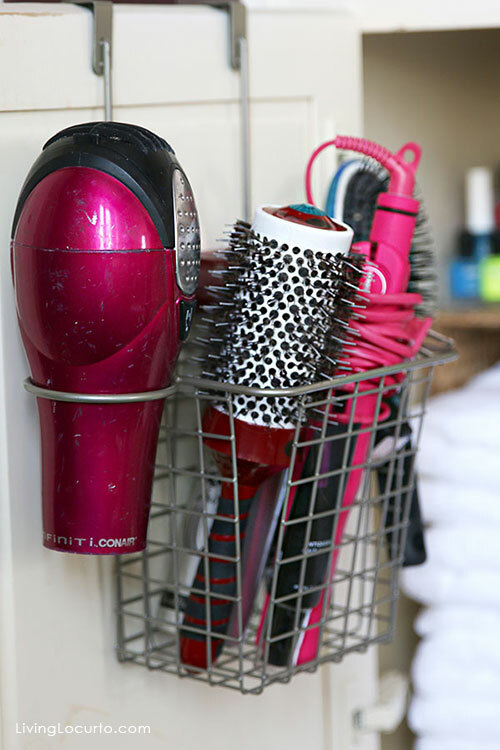 We ladies know that hair dryers and a multitude of brushes and combs can easily take over our space. To top it off, the under-sink cabinets are typically overflowing with extra towels and supplies. Why not tackle both problems with this nifty idea: A hair dryer and brush basket that hangs on the inside of your cabinet door. Pure brilliance! 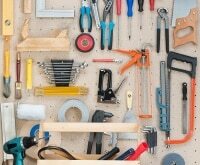 Do you know any bathroom organization hacks I didn’t cover? I’d love to know! Share them with me in the comments below. Do you want to come do mine for me? LOL. Thanks for the great tips. Wouldn’t that be great? 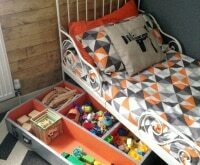 It always seems more fun to organize and clean someone else’s space than do our own. :) Thank you for reading and we hope the tips inspire you! 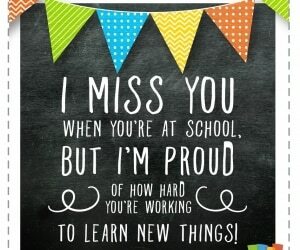 We’re glad to hear these ideas are inspiring! We’re planning on using a few of these for our own bathrooms. :) Thanks for reading! This is fantastic I love the finished product the bathroom is sparkling! We love a sparkling bathroom, too! There’s nothing more refreshing than actually being able to move around in there without knocking over clutter, right? :) We hope these ideas help keep your bathroom sparkling, too. Thank you for reading! I love all of these ideas. 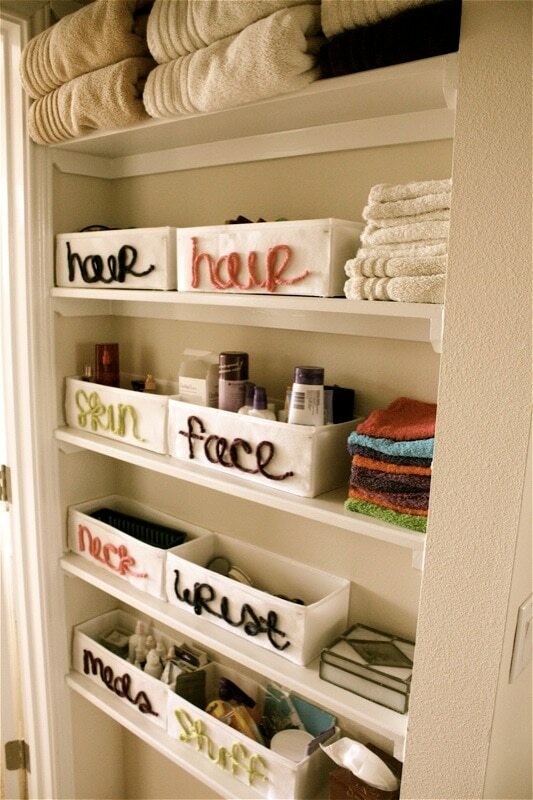 They make me want to go re organize my bathrooms! Don’t they? We may have gone on a huge bathroom organizing spree in our own homes after reading this story. ;) Thank you for reading! I definitely love those ideas. Bathrooms are always messy and it’s nice to have little shelves where you can store things. Great tips! Those baskets at the beginning are fabulous! 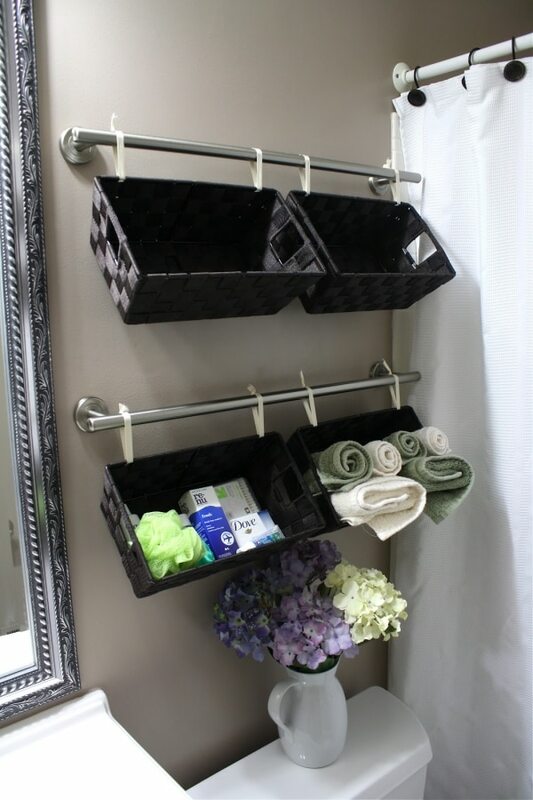 Baskets are definitely a lifesaver in the bathroom! Plus they look great, too. :) Thank you for reading! I love these ideas. Bathrooms are a great start to getting organized. It’s always the first place I like to clean and organize myself. These are great ideas. I’ll have to implement them. Such lovely tips for bathroom decoration. Very unique indeed. We think that hair station is brilliant! How did we ever live with just hiding our hair dryer under the sink? Mason jars are also a great idea, especially since you can paint and decorate them to your heart’s content. :) Thank you for reading! So many great ideas. I think I might steal the mason jar storage one. I have more mason jars than I know what to do with. I love the tilted basket idea! Having a hair station would be nice, too. We agree! We so want that hair station, too. What a genius idea. :) Thanks for reading! Wow some of these are awesome for solving the lack of counter space problem. I found a couple things I’ll try! Wonderful, we’re glad to hear it! Let us know how things work out. 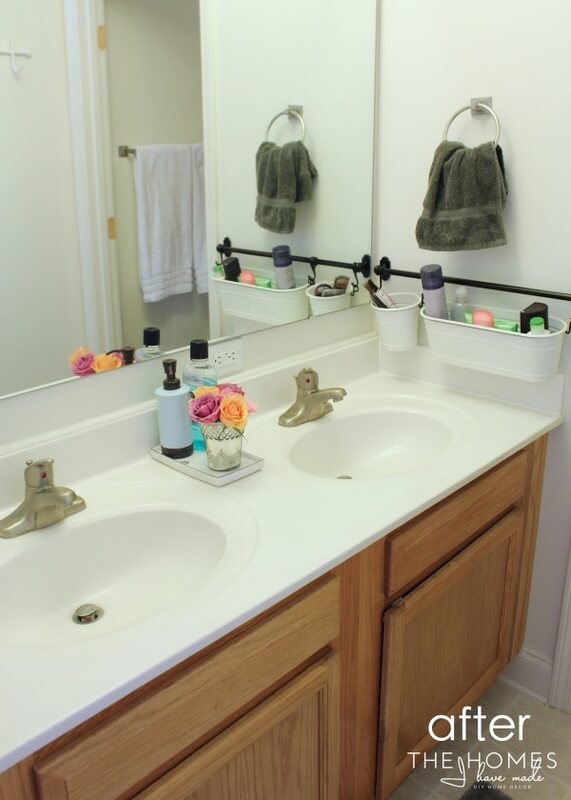 We know lack of counter space can be a real trouble spot in the bathroom. :) Thanks for reading! These are all great ideas. I currently have one of those shelves that go over the toilet with some baskets on it. It looks cluttered though. A clean bathroom is a happy space for me! I love that TP holder! We think so, too — about the happy space AND the TP holder! :) Thanks for reading!